Going on a holiday and need travel insurance? Keep an eye on this page for special 1Cover offers and voucher codes. Going on holiday soon? Well, if you're going to take travel insurance insurance with you, you might as well give yourself a chance to win $5,000*! Book by April 30th for your chance to win. Get your free instant quote and book online today! Our annual policies mean you can take as many holidays as you want for one year and enjoy comprehensive cover on all of them! Depending on the length of your trip, you can get up to $50 off* your policy. Find out all the details here. Have a friend who is travelling soon? 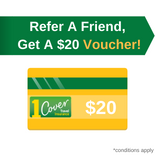 When you purchase a policy from 1Cover you will earn a $20 gift card for every friend you refer who buys a policy. The more people you tell, the more gift cards you could earn. It's simple. When you purchase a policy you'll receiv an email with a unique link. Share this this link with your travelling friends. If they purchase we'll email you with an option of gift cards. There are 9 retailers to choose from! So what are you waiting for - book a policy today! Terms & conditions apply - visit the FAQ page for more details. Note: you won't receive the gift card email for at least 14 days after your friend purchases to ensure their policy is outside the cooling off period. No one likes dull, and that's exactly why 1Cover mixes up the types of exciting offers, competitions, and discounts it offers to travellers. Here are a few of 1Cover's most recent offers. and go in the draw to win a $5,000 shopping spree*. an iPad Pro. One winner drawn every week in March*. win $5,000 worth of flight vouchers*. Where Do I Go To Find The Latest 1Cover Vouchers And Special Offers? Right here! This is the one and only destination you need to visit to find all of 1Cover's latest discounts and offers. Keep checking back to stay up to date and ensure you don't miss a thing. Follow us on Facebook and Instagram too and be the first to know about all things 1Cover. How Often Are There 1Cover offers? It varies. Sometimes we have a limited time discount available for a week only, other times there may be an awesome giveaway competition that runs for a month. 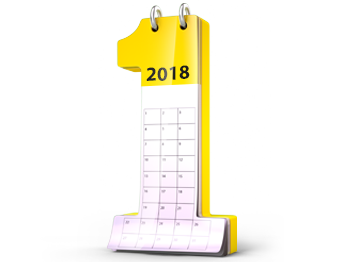 You never know when or what the next 1Cover offer or discount is going to be, and that's why it's important to keep checking back on this page as well as the 1Cover home page. Where Can I See A List of Previous Winners? 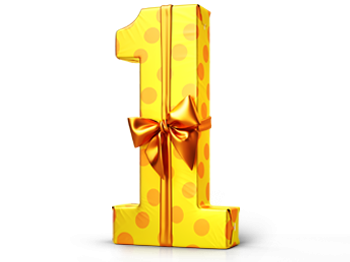 To see some of the lucky winners from 1Cover's most recent competitions, click here. 1Cover Travel Insurance, get in touch with us. Our expert team are here to help you.